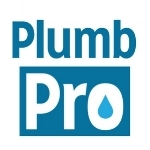 Savannah GA Plumbers - We are a full service and installation company! Our services include Slab Leaks, Emergency Services, Water Leaks, Clogged Drains and more! We are a FULL-SERVICE plumbing company! No job too BIG or too SMALL! At PlumbPro, we offer a variety of services, no job is too big or small. We guarantee that we can get the job done and that you'll be satisfied. We can repair or install any part of your plumbing system. Here is a look at some of our services. Slab Leaks - Over time, metal pipes can wear away and cause leaks under your foundation. These can cause flooding and major damage to your home. We access your floor, repair these leaks, and replace the concrete. Leak Detection - We offer both water and sewer leak detection. Drain Cleaning - Grease, roots, hair, and tissue paper are just a few things that can cause your drains to back up. We offer drain cleaning for any type of clog. New installations - We install new plumbing for both residential and commercial customers. From the ground up, we do it all. Water Line Repairs - We repair any type of damaged or leaky water lines. We also can removed old lines and install an updated corrosion free water system. Water Heaters - Gas, electric, tankless, instant, commercial and residential. Disposals - We install the best brand of garbage disposals. Pumps - Recirculating pumps, grinder pumps, sewage ejection. Repiping - Total house re pipes; both water and sewer. Sewer Repairs - Sewer repairs and installations. Removing old piping and replacing with new drain lines. Camera Inspections - Full sewer camera inspections. Plumbing Repairs - Any type of plumbing repair. We are full service plumbers. Gas Lines - Gas line repairs, New installations, upgrades. Plumbing Inspections - Unsure of the safety of your plumbing system? We do full plumbing inspections. Fixture Repairs - Leaky faucet? Toilet won't flush? Don't worry, we make any type of repair thats needed on any of the fixtures in your home.